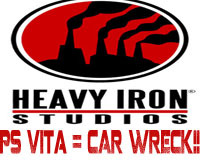 President of Heavy Iron Studios Lyde Hall and their latest 'signing' Matthew Seymour believe that it's not worth it to buy a PS Vita. Seymour’s been in the industry for 20 years, having worked for companies as such as 2K Games and Microsoft Games Studios, and now works for Heavy Iron. 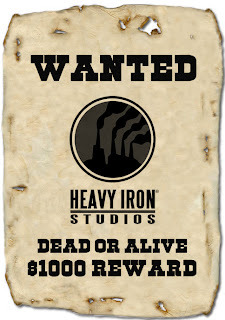 The market is shifting, and we reckon Heavy Iron know this all too well. It’s hard to imagine he means that Vita itself will be a “car wreck” – more the whole situation that Nintendo and Sony are facing. We at PS Vita Hub really disagree with Heavy Irons opinion, mainly because the PS VITA can offer games and content that cannot match up to smartphone gaming, though smartphone gaming is becoming more popular, the PS VITA can offer games like Uncharted Golden Abyss which just cannot be replicated on a smartphone!